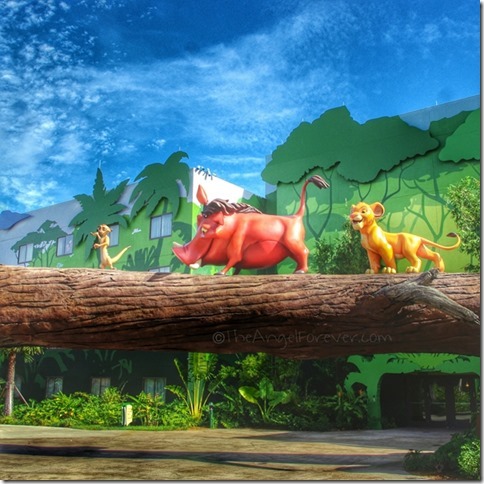 It’s been way too long since I participated in the Disney Wordless Wednesday fun. Jumping back in with the May Calendar shot which works beautifully with Star Wars Day. 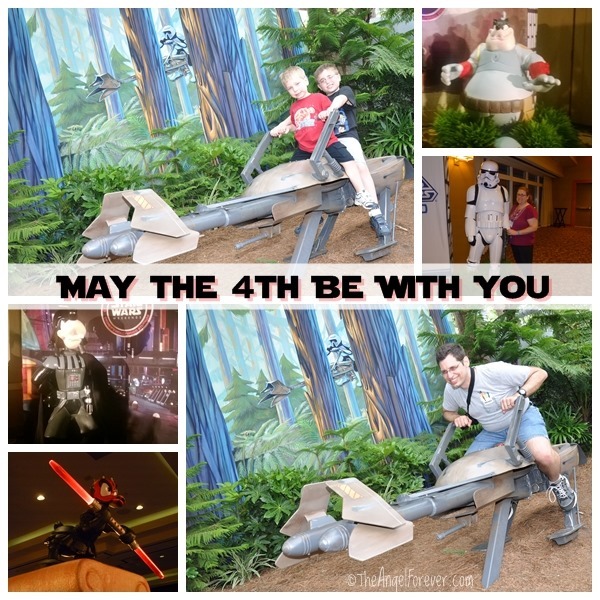 Happy May the 4th to everyone! When you live in the northeast, you know that Mother Nature can dish out many different scenarios in the winter. As someone that has lived in New York State for her entire life, I have to say this winter has been brutal. Elsa needs to back off and STOP! It is not simply cold, it is freezing in a dangerous way. Snow may not be to the levels people are seeing in New England (poor Boston and areas of Maine), but traveling around here is getting tricky. Roads have snow mounds all over which makes it hard to see when it is time to pull out into a street or make a turn. Cars are parked so far from curbs that they are blocking traffic patterns. Crosswalks are not cleared and people have to climb over snow to go across a road. Homeowners are running out of places to pile snow up near their homes. 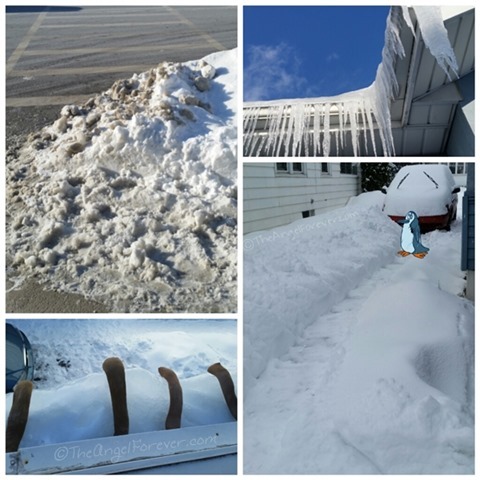 Yes, we have given up dreaming of a clean driveway. At this point we are simply making paths to get from here to there. While they look beautiful, icicles on homes are a sign of ice dams. This year they are horrid and I live on fear of dripping noises. Yes, knee highs once again are out on parts of my roof. I am hoping that once the temperature increases a bit, the calcium chloride will help us to avoid water backing into our house. Sometimes you just need to vent for a few moments. After that, you go back and curl under three or more blankets dreaming of visible pavement and temperatures that do not harm people, places, and things. 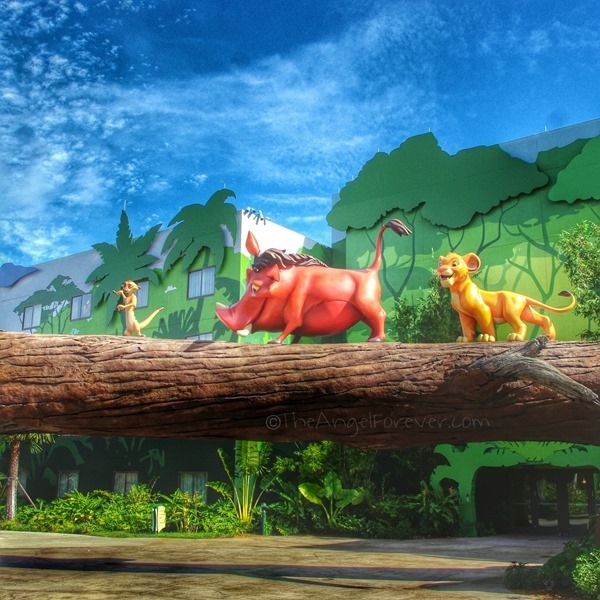 I also tend to dream of Disney and hope that Hakuna Matata will make this pass without too much damage. Do you live where winter has over stayed and needs to go far far away? Let me know what you are looking forward to in the months ahead. Tis the season for lots of festivities, activities, and chaos. It all started here the night before Thanksgiving when our ten year old oven decided to make a loud pop and sparked. Au revoir Mr. Oven and hello Black Friday weekend appliance shopping. When we went to the store, they told us that it would not be delivered for over a week. The date was my birthday, but there was an event that evening that complicated things a bit more. They promised me that the oven would be here before I had to leave to get the kids from school. TechyDad took two days off of work to do some deep cleaning with me and to spend oven delivery day at home. What we did not anticipate was an ice storm wrecking havoc on our entire area Tuesday. It took TechyDad almost an hour for a round trip to the middle school that typically take 20 minutes. When he got home, he said there was no way we were going back out to take the little kiddo to his school. An hour into our delivery window, the appliance store called. There were complications with the storm and we understood. If we were not flexible with the delivery time, we would have to wait until the weekend. We told them we would work with it. Picking up the big kiddo from school was not too horrible for TechyDad. It was raining and the temperature was just above freezing. The event for the evening was still on and we were waiting for our oven. As I waited, I decided to do my nails with new Jamberry wraps. Yes, the photo above was my selection. I thought they were pretty and would be nice for the start of Chanukah next week. What I didn’t expect was the nails to create a Frozen land making me feeling like Elsa. Just after I was finished we could hear ice pelting up against the house. We also noticed an hour had passed since the delivery truck had called saying they would be to us in about 20 minutes. When I went to greet them, it was a mess. 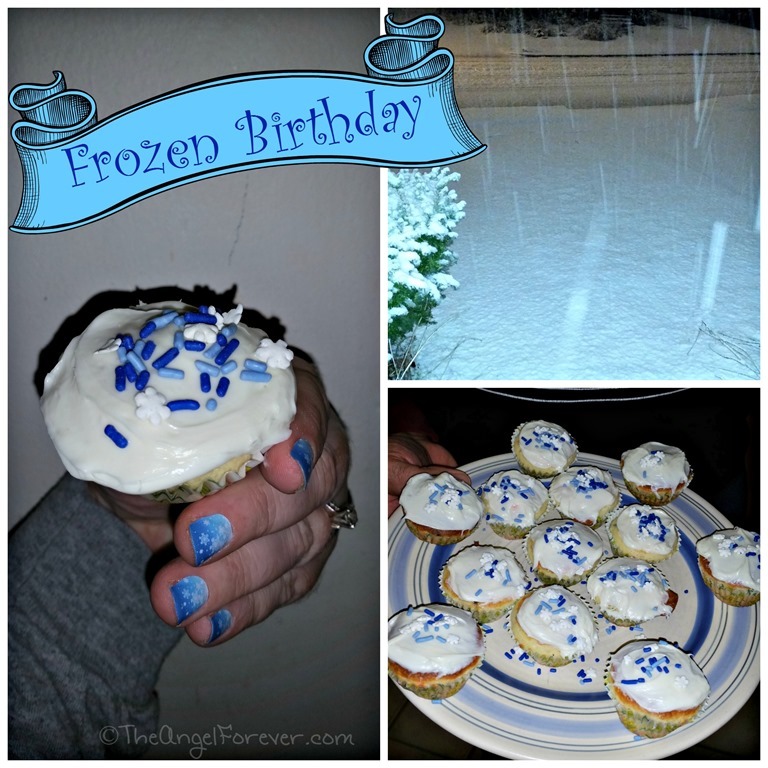 There was sleet, freezing rain, and snow! The two men from Cocoa’s Appliance were fantastic and professional in a really bad situation. When they left, we decided to eat dinner and assess the situation outside when we were finished. In about 30 minutes, everything had glazed over and the car was completely encased in ice. There was no way we could get to the event. Our new oven still had to warm up before it could be used. TechyDad made me some mini-cupcakes in our little cupcake maker and they had a theme to them. We stayed inside the warm house and tried to forget about everything else. 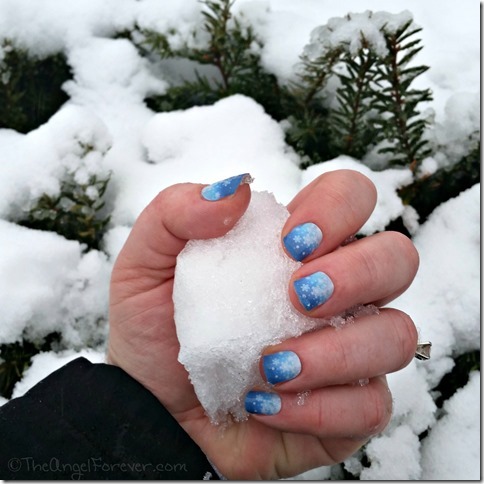 Of course, I laugh that it has hardly stopped snowing since I put my Let It Snow wraps on my fingers. If I get some tropical Jamberry designs next, will that work too? 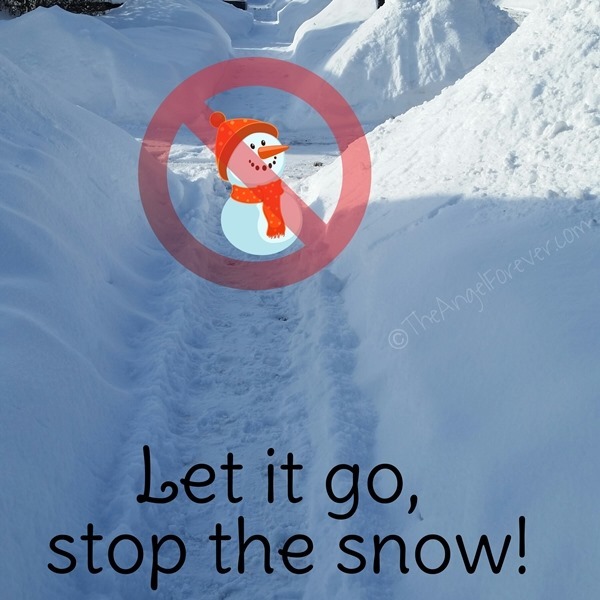 What are your favorite and least favorite parts of the winter? Around here, it’s definitely when Elsa does not give up. Quite honestly I want to let it go and NO, I do not want to build a snowman! 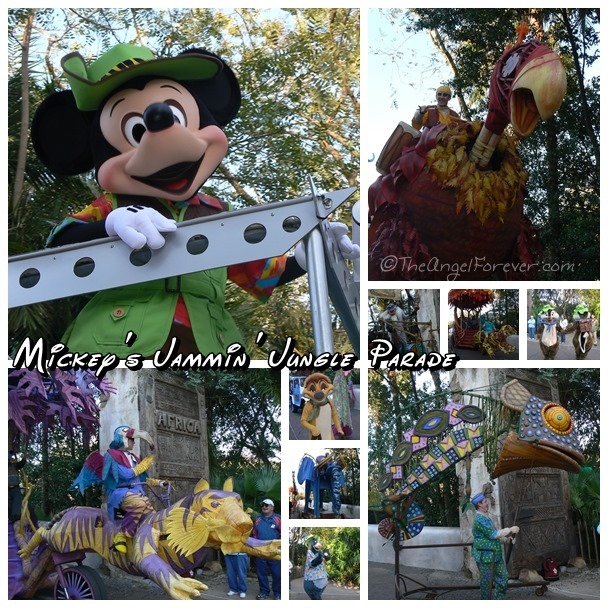 Ah, the memories of stopping from the hustle and bustle in Disney’s Animal Kingdom to watch Mickey’s Jammin’ Jungle Parade. The first time we saw the parade (which is no longer taking place) was in 2010 when JSL was napping. We had spent a long cold morning in the park and he fell asleep after a visit to First Aid. As he slept we watched NHL’s face light up as familiar characters and beautifully colored floats passed by. 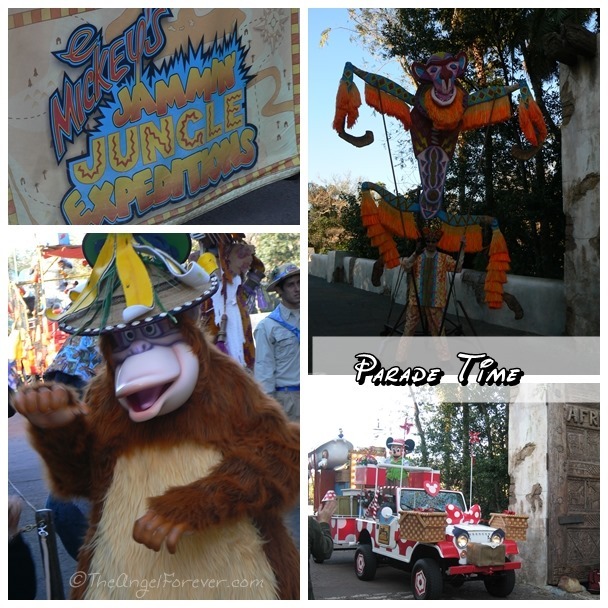 Do you have memories of this parade? I would love to hear all about them. Over the weekend, my family pulled out photos from my parents wedding and my brother’s Bar Mitzvah. It was fun looking at them and made me want to see more of the pictures from our numerous visits to Walt Disney World when growing up. I know there are magical memories of me wandering around the Contemporary pool in a diaper and going parasailing with my brother over Seven Seas Lagoon. Years ago, I found some random photos from our 1983 visit just after Epcot opened. This was my brother’s first time to Disney and the time I fell in love with Dreamfinder and Figment. Check out my brother’s River Country shirt – talk about retro! So many memories from that trip and many more that I hope to share one day soon. 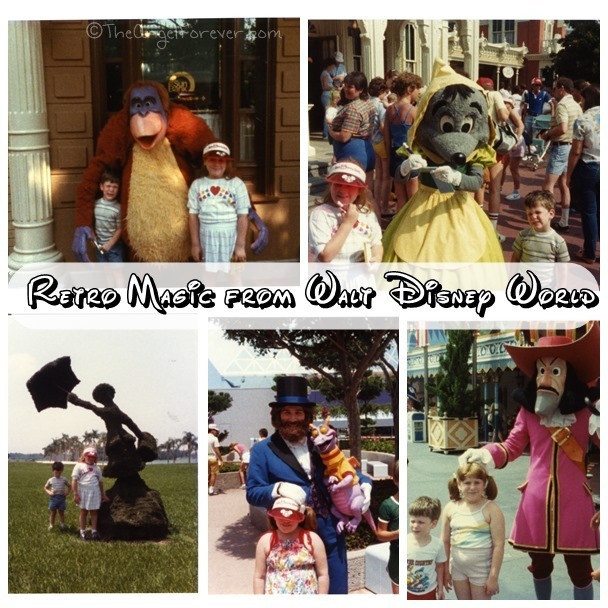 What is your favorite retro Disney memory?